A man has been arrested on suspicion of murder following the death of a 51-year-old woman in Nottingham last summer. 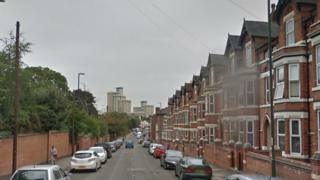 Nottinghamshire Police were called after reports of a "sudden death" in the Bentinck Road area of Hyson Green, on 13 July. A 43-year-old man is being held in connection with the woman's death after officers executed a warrant earlier on Wednesday.